This year why not print your own party?! 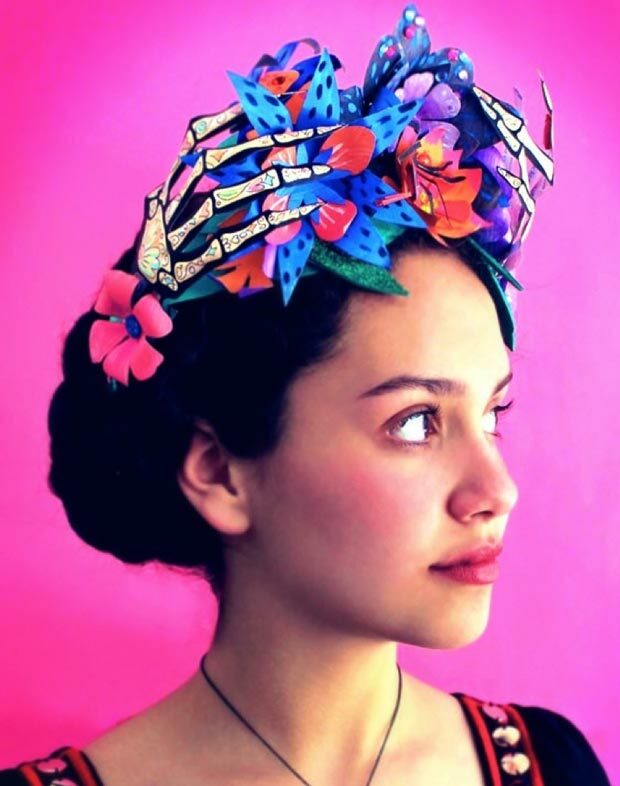 Ideas and inspiration for a Day of the Dead celebration. The Happythought Day of the Dead printable party kit includes 23 tutorials, printables and decorations, including invites, favor boxes, masks, popcorn boxes, cupcake wrappers and toppers and much more for the ultimate fiesta! 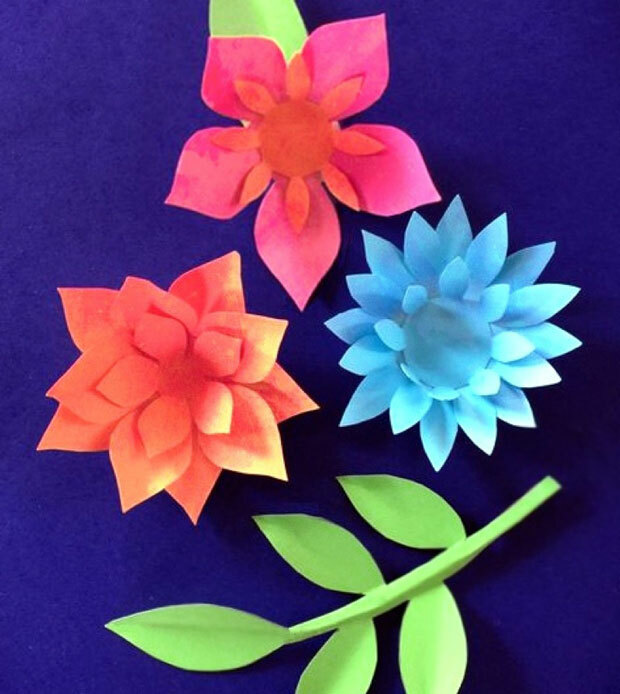 All our printables and crafts are easy to make and come with full instructions, and of course you can make as many as want, whenever you want! On the Happythought sit you can find lots of Day of the Dead recipes, include spicy popcorn, guacamole, pico de gallo, spicy chocolate cupcakes and last but not least the essential pan de muertos. Why not also print out our free printable food and drink signs? They’ll look great on your party table and will let your guests know what they are about to tuck into. Party games are great for breaking the ice and having some fun. We’ve come up with some simple ideas for all ages – such as Loteria and pin the head on the skeleton – with free printable templates to get you started! 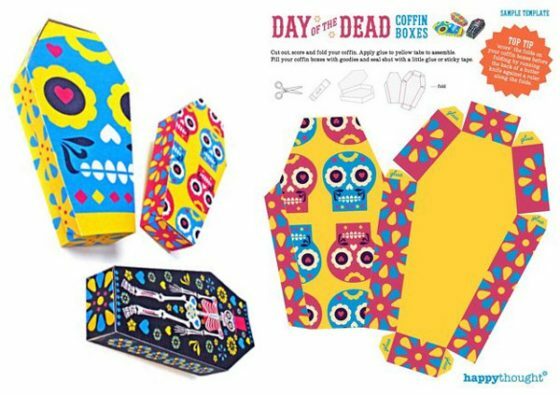 Try a taster of our Day of the Dead party kit – download these fab coffin favor boxes! Day of the Dead paper coffin box templates! 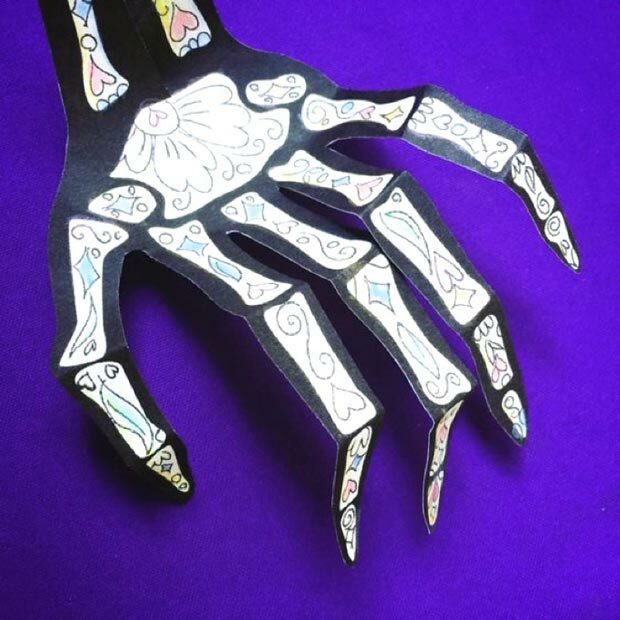 Try our Day of the Dead or Dia de los Muertos printables party kit to cut out and assemble. Full of decorations, party ideas and activities! 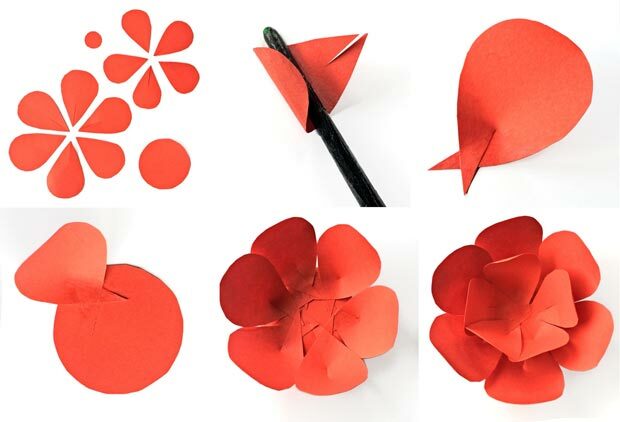 You might also like these crafts and templates. Day of the Dead cat mask template, Mexican paper star decorations and how to make papel picado. 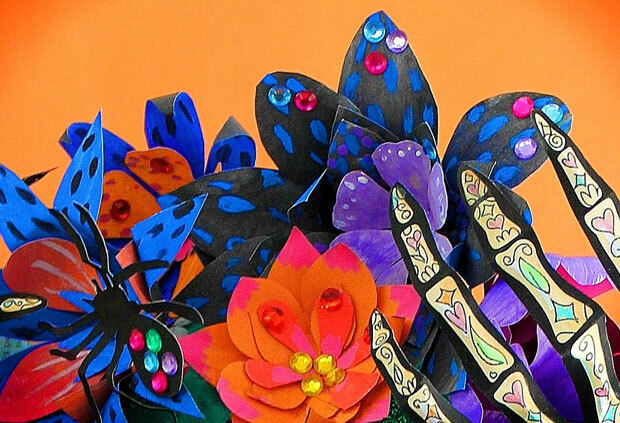 This post is packed with Craft project worksheets, printables and decorations for Day of the Dead. We hope you enjoyed our Ideas and inspiration for a Day of the Dead. If so, please give us a little love; by liking us on facebook, pinning us on pinterest or following us on twitter. Thank you!